While I was gone last week concrete was poured, huge improvement! 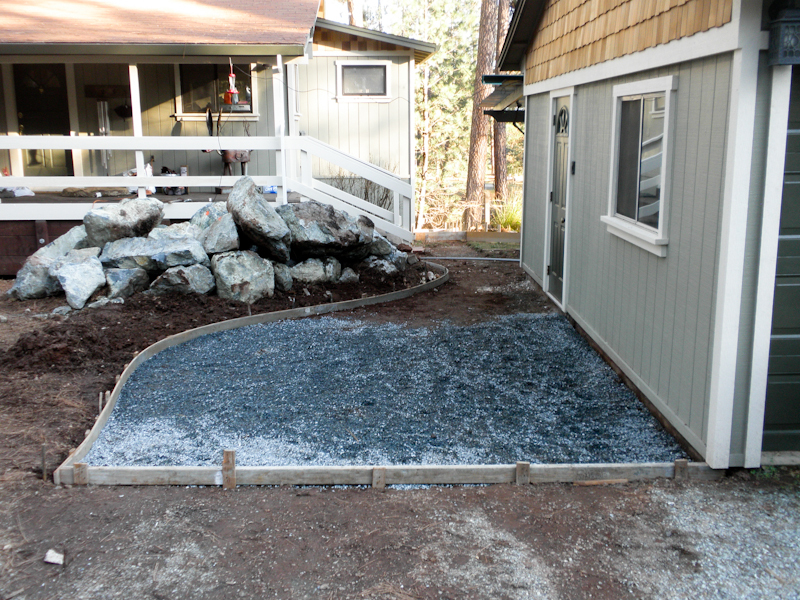 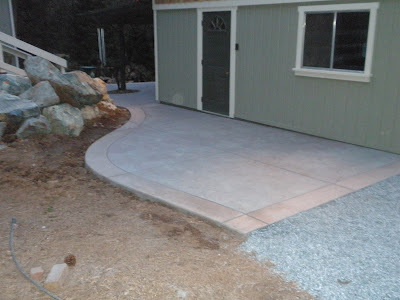 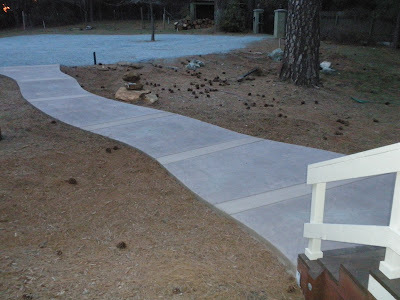 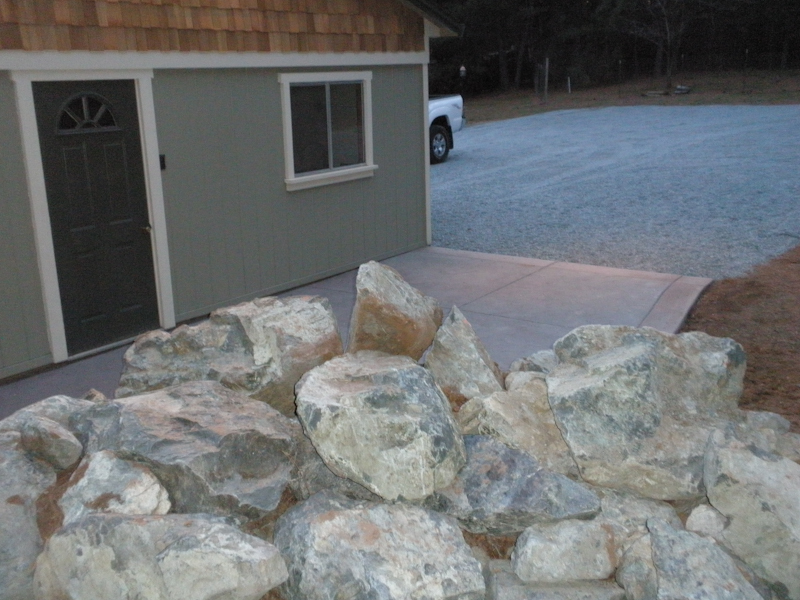 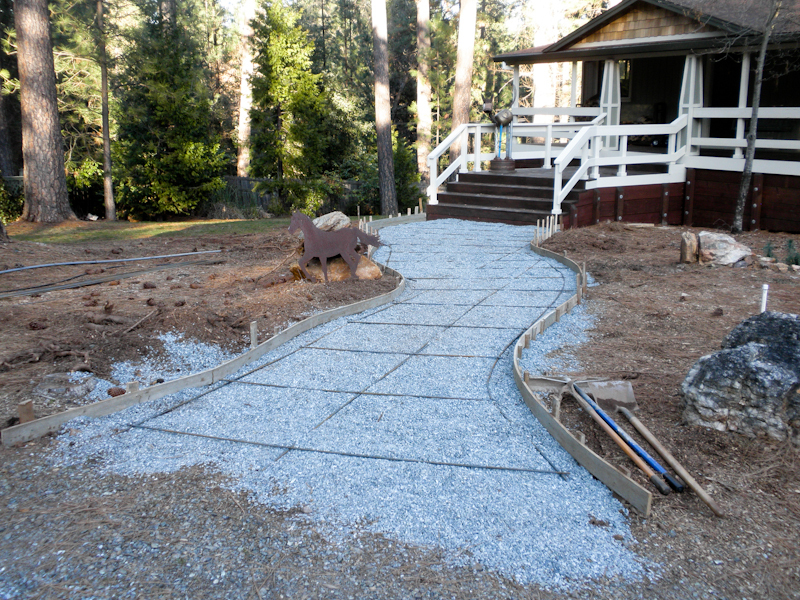 They also spread some new gravel around the driveway. 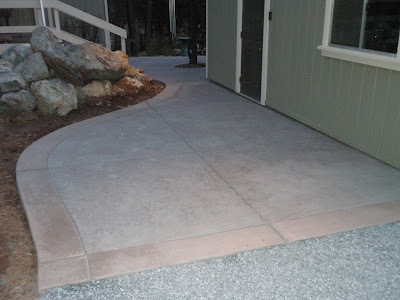 They'll be back in a few weeks to pressure wash and seal the concrete, I'll post a couple better pictures then to show how the stamped concrete looks and the colors as it will show up a lot better once sealed. 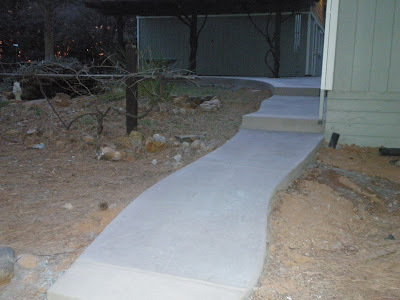 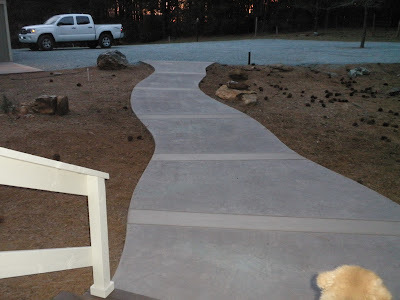 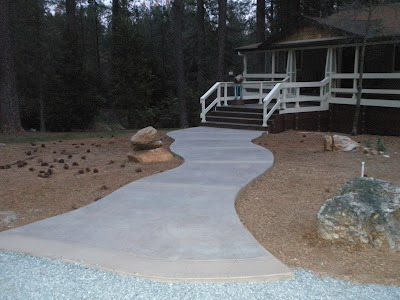 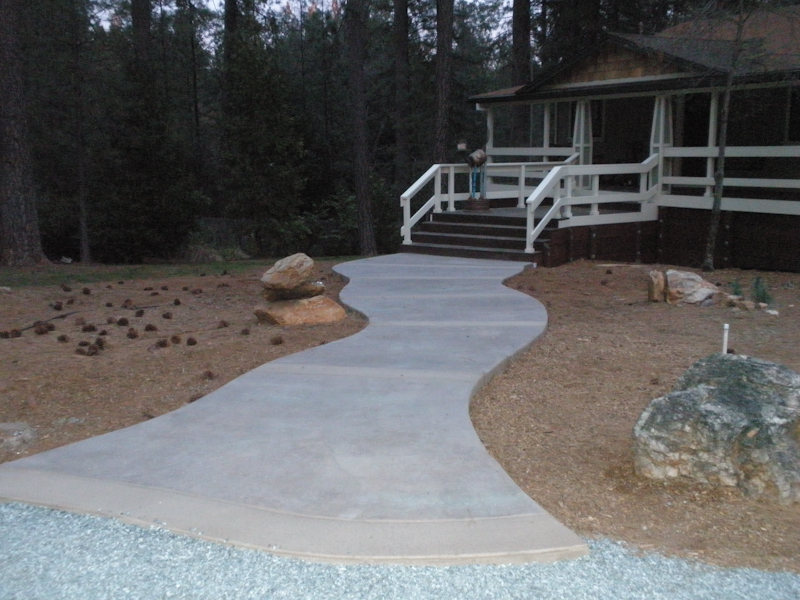 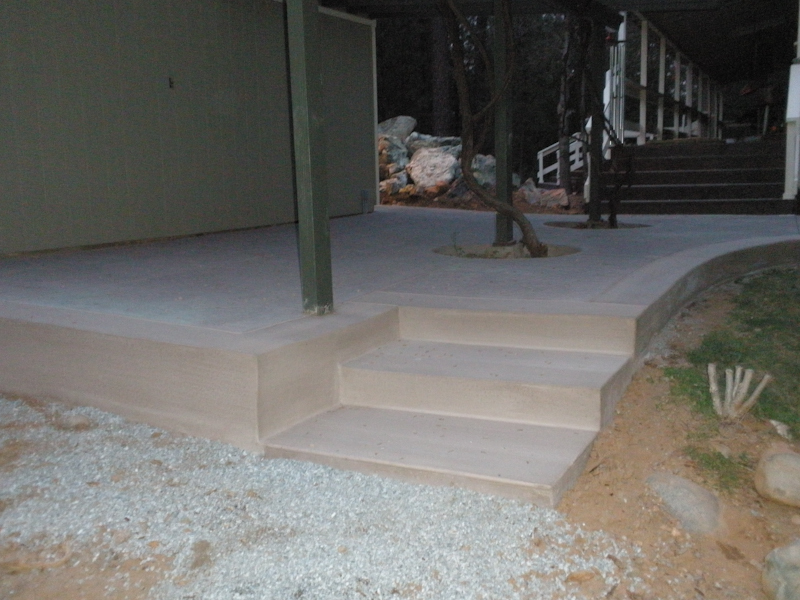 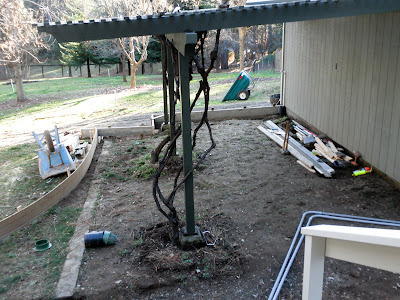 After finishing up the facelift on the outside of the house we really needed to put in some new walkways to get to the new entries we created. 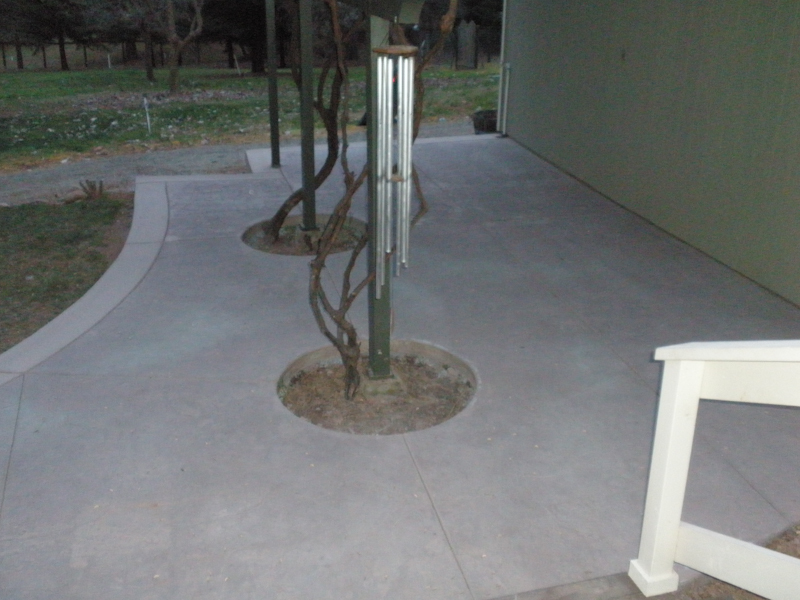 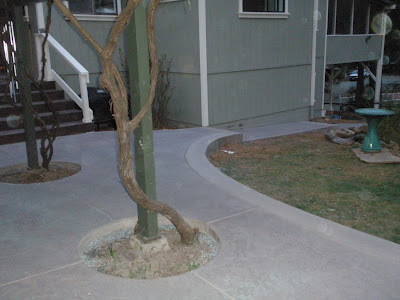 Of course this expanded to fixing other concrete so it all ties together and looks right! 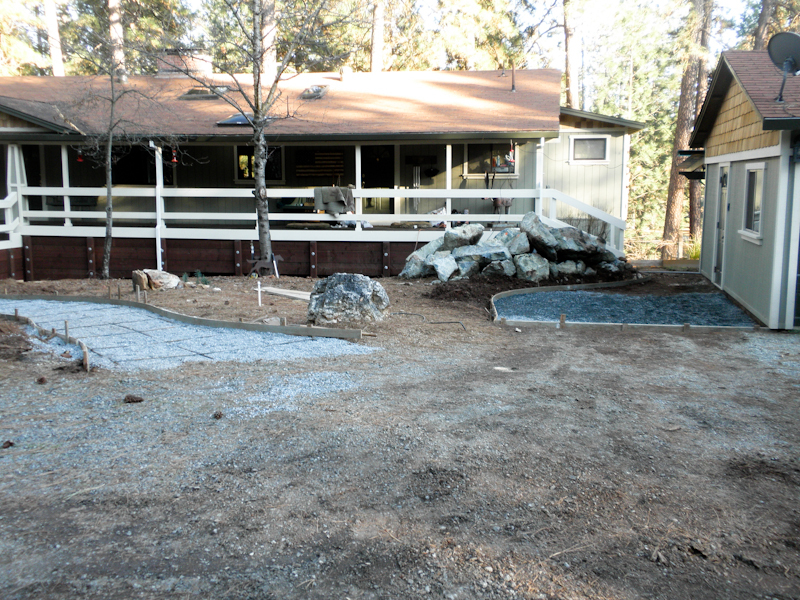 Today they started forming everything, assuming all goes well they will be pouring concrete on Friday. 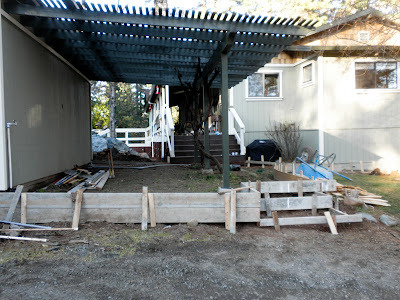 So if it ever rains, we'll won't be dragging mud into the house from the front yard! 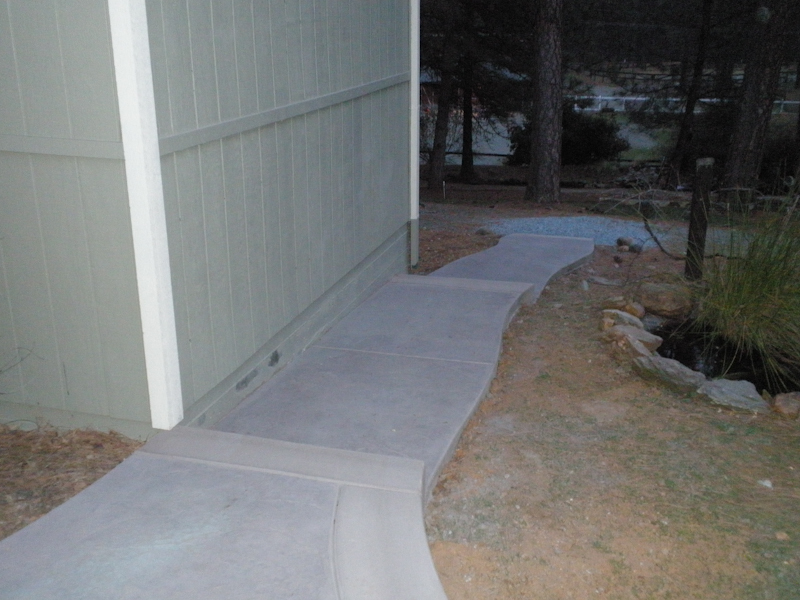 Walkway to the front door on the left and to the mud room on the right.